Photography on the Run: A red-tailed hawk near the entrance of Ahmanson Ranch. 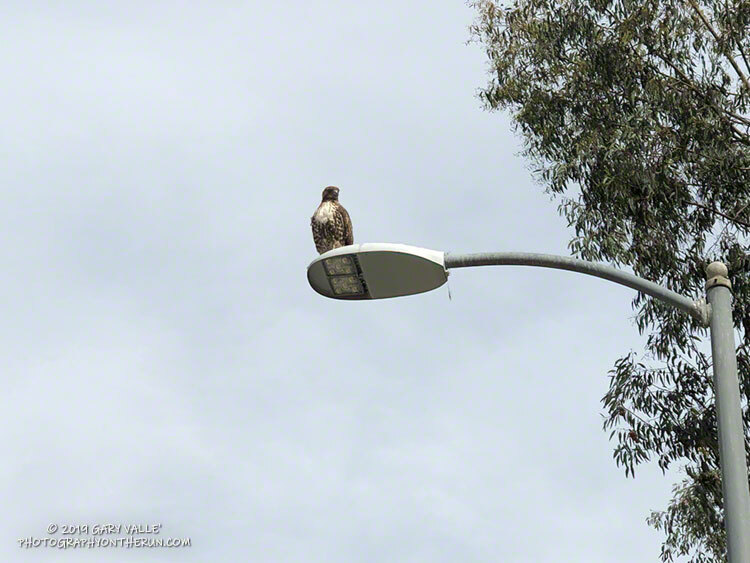 The hawk had killed a gopher snake, taken it up to the street light, and dropped it. The hawk had been perched on the light for about an hour when I took this photo. See the post for details. A red-tailed hawk near the entrance of Ahmanson Ranch. The hawk had killed a gopher snake, taken it up to the street light, and dropped it. The hawk had been perched on the light for about an hour when I took this photo. See the post for details.